Who will be Michael Schulte’s successor and represent Germany at the Eurovision Song Contest in Tel Aviv? 6 competitors have been shortlisted as candidates for the national selection. We take a closer look at the six candidates. 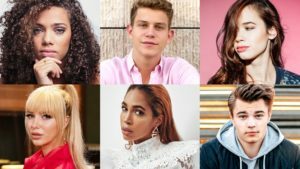 German broadcaster NDR have announced the 6 shortlisted candidates who are currently in a five day song writing camp in which they together with 24 national and international lyricists, composers and producers are hoping to pen the perfect song to send to Tel Aviv next year. Thomas Schreiber, Head of Entertainment at ARD said “Our six Eurovision candidates are working with great passion and concentration at the song writing camp on their possible songs for Israel. It’s a pleasure to watch them. Last year, this process resulted in Michael Schulte’s hit You let me walk alone. We hope that there will be a comparable success this year, too. The candidates and the songwriters are doing everything they can to make this happen!”. The 6 acts will compete in “Unser Lied für Israel” (Our song for Israel). Television channel Das Erste will air the German pre-selection this coming February which will be presented by Barbara Schöneberger und Linda Zervakis. There could be another 2 candidates joining the shortlist however, these are yet to be announced by the broadcaster. Will it be third time lucky for 28 year old Makeda from Bonn? In her first attempt to represent Germany at the Eurovision Song Contest she went as a solo artist, later removing herself from the ballot. She returned the following year as part of a group called Steal A Taxi and took part in the candidate workshops. This year, Makeda is back as a solo artist. As a child, it was American songstress Alicia Keys who inspired her to become a singer and write her own songs. 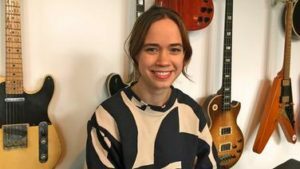 Her musical aim is to make everyone happier with her music. 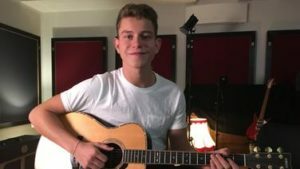 Following his stint on The Voice of Germany in 2015, Linus has amassed a staggering 230,000 followers on social media with hundreds of thousands views on his YouTube channel. 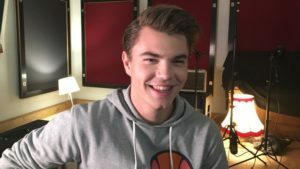 A fan of the Eurovision Song Contest, 20 year old Linus was inspired by winners Alexander Rybak and Måns Zelmerlöw, considering Zelmerlöw’s Heroes as being one of the best songs in recent years. Having been involved in the industry from being a child Linus performed in stage shows such as Tarzan before moving on to singing. He was head hunted by Hamburg based producers Madizin Music Lab who have previously worked with 2010 Eurovision winner Lena. Together they have been writing and profiling songs for a year and a half, it was during this time where Linus wrote his first self-penned track. Despite not being a fan of choreography, we are sure to see Linus popping some moves on the stage “I like to move on stage, I do not need a dance choreography because I never think about what to do before the show I do exactly that, it all comes from the feeling that I think that’s the way it should be“. According to 28 year old Lilly “Big stages mean incredible fun“. Will Lilly get the chance to perform on the biggest stage of them all? Born in Straubing, Lower Bavaria as Elisabeth Brüchner, Lilly got her stage name from the idea that her songs come from her head and her head is always in the clouds. Writing songs as part of the song writing camp has been a challenge for Lilly who usually prefers not to share her work with others until it is completely finished. 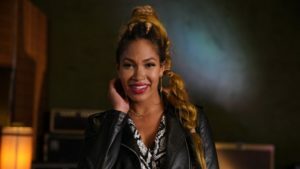 Despite a more reserved look (Lilly mostly likes to write barefoot and wear jeans and a t-shirt on stage), she is confident that she can still entertain the crowd and is comfortable with dancing. 18 year old Gregor from Stuttgart is the youngest competitor to participate in the preliminary round of the selection process. Having participated in The Voice of Germany last year, Gregor is no stranger to the stage. Finishing the contest in the semi-final stage in the competition, the young performer is most comfortable when singing ballads. Representing his country at the Eurovision Song Contest is so important to him that he interrupted his world tour to take part in the song writing camp. Gregor winning the selection show could result in a German languaged song competing in the contest “English makes sense in an international contest, but you represent your country, I think it’s a good idea to represent your country in your own language“. BB Thomaz is not only a musician but also a mother and a zumba coach. Born in New York City, she moved to Germany at the age of 10 and currently resides in Düsseldorf. BB competed in The Voice of Germany in competition with fellow national selection competitor Gregor Hägele. BB Thomaz went one step better than Hägele and finished the competition in the final, in fourth position. A fan of outrageous outfits and visual performances BB considers Loreen’s Eurphoria and Netta’s Toy as some of her favourite performances at the Eurovision Song Contest. Aly Ryan hasn’t watched the Eurovision Song Contest since 2010. Describing herself as indie-pop, Ryan wants her music to be honest and sincere. 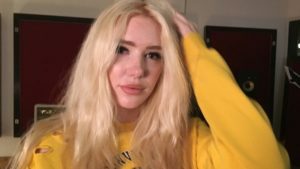 As a young girl she never felt like she fit in, she dressed differently from other people and decided to move to L.A where she feels accepted. 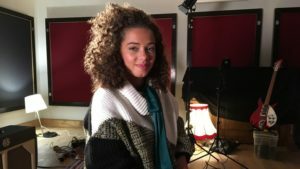 Aly Ryan is most well-known for her song Parachute which went number one on Soundcloud in Germany, Russia, France, The Netherlands and New Zealand. This year Germany were represented at the Eurovision Song Contest by Michael Schulte. He finished in fourth place with You let me walk alone. We met up for a chat with Schulte at the Altice Arena in Lisbon prior to his performance at the contest. We recommend watching that video below.